Add a splash to your design with this 9in. x 10in. x 8mm Soft Harmony Feathers Antique Mirror Antique Glass Mosaic. The gray color will enhance any space. Clear, straight and perfectly cut-to-size edges of this decorative create continuity. 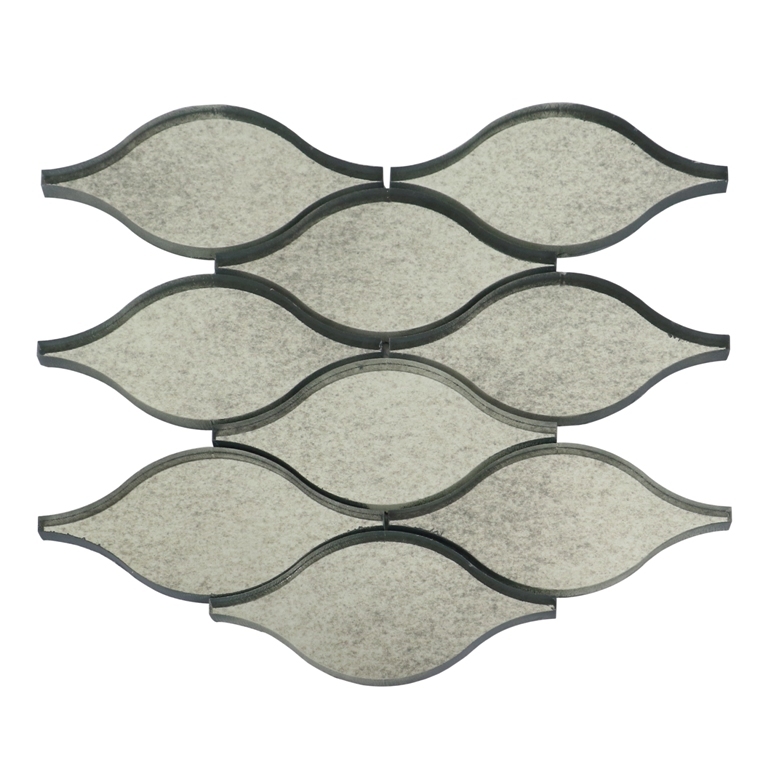 Create and elegant design with this unique shaped glass decorative. Product is just as described and shown. This is very good quality and would recommend to anyone. Tile was packaged very well and arrived without any issues or defects.